Lead alloys are manufactured for many different purposes including: Bearing Metals, Fusible Alloys, Jewellery Metal & Solder. Soft lead ingot comes in purities ranging from 99.97% up to 99.99%. Standard ingot size is 25kg, but our foundry facility is able to cast any size required. Lead sheet comes in a variety of sizes, ranging from 0.4mm thick up to 8.8mm thick. Sheet size is also varied, and can be produced to your specifications. 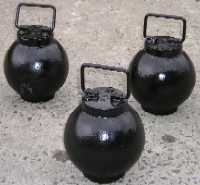 Lead Castings are available in many different sizes, shapes, and weights. Weights can range from 30 grams to 8000 kgs and above. Lead / Silver / Antimony anodes are available for use in Impressed Current Cathodic Protection Systems. 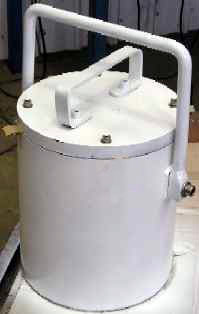 Please see AMAC Corrosion's Lead Silver Antimony Anodes page for further details. Lead shot is available in various sizes and is used for ballast applications. Lead radiation shielding is manufactured according to customer specifications. There are many different options available for lead ballast. See our Ballast page here for more information.